The death of Jenna Morrison in November of 2011 shocked the city of Toronto. Not only had she died in a collision with a truck leaving a five-year-old son behind, she was also five-months pregnant. 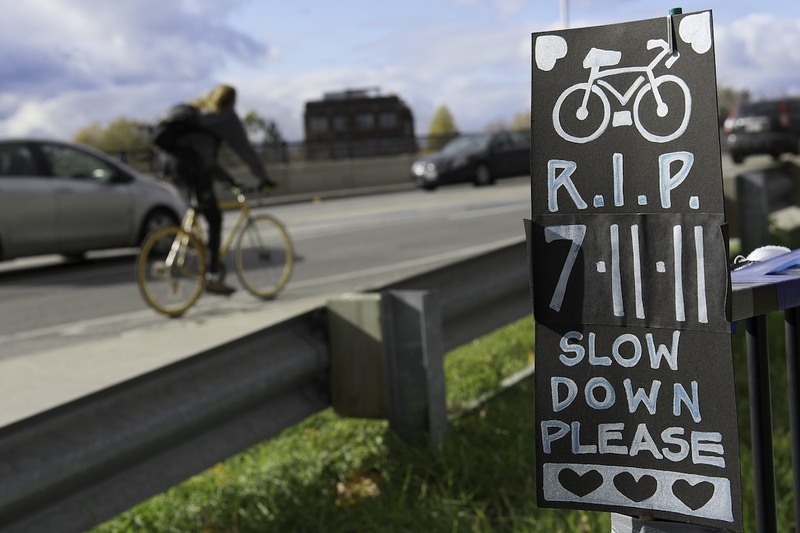 Her death caused an outcry for safer conditions for cyclists and created an organized effort to make trucks on the roads safer. This piece appeared on Rabble.ca in February of 2012, the day of a public meeting for the Safe Trucks initiative. Photo by Alistair Maitland Photography.